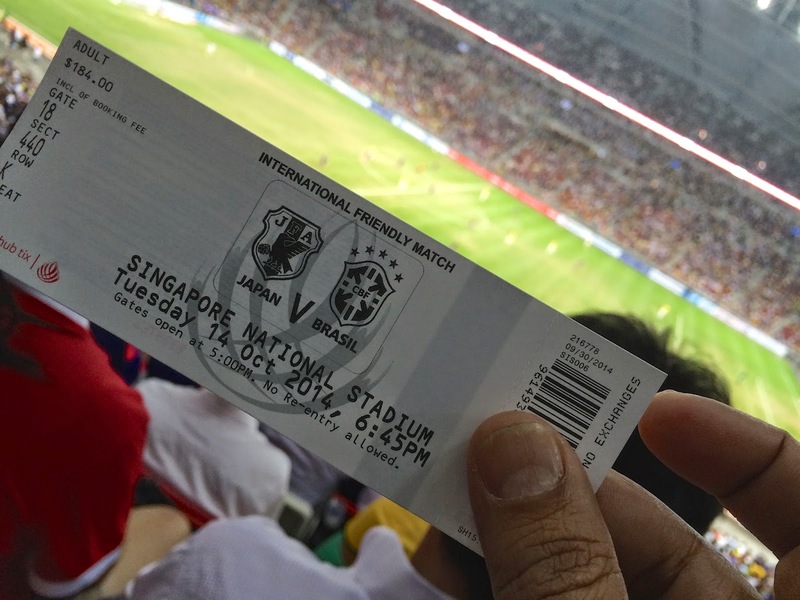 Singapore has a fancy new stadium that opened earlier this year. Among some of the cool things the stadium has been designed for is its multiple ‘modes’. You can go from an Athletic mode to a Football mode by moving the lowest tier of the spectator seating that will hide the tracks! The other cool thing (literally!) is the blast of cool air that is pumped from under the seats to keep the spectators comfortable in this balmy city-state. It was here I ended up with a team of colleagues to watch a friendly soccer match between the Brazilian and Japanese national teams with all of their star players. With Neymar’s popularity at an all-time high, it was no wonder the crowds mostly wanted him in action. He didn’t disappoint and made all goals for the Brazilians. The match itself was too one-sided and not particularly exciting. However, the chance to check out the new stadium and watch some big stars live was fun in itself. As we trooped out along with (what seemed like) half the population of Singapore, my Chinese colleague and I got separated from the rest. We found ourselves at the wrong metro station and decided to get some dinner and wait for the crowds to dissipate a little. 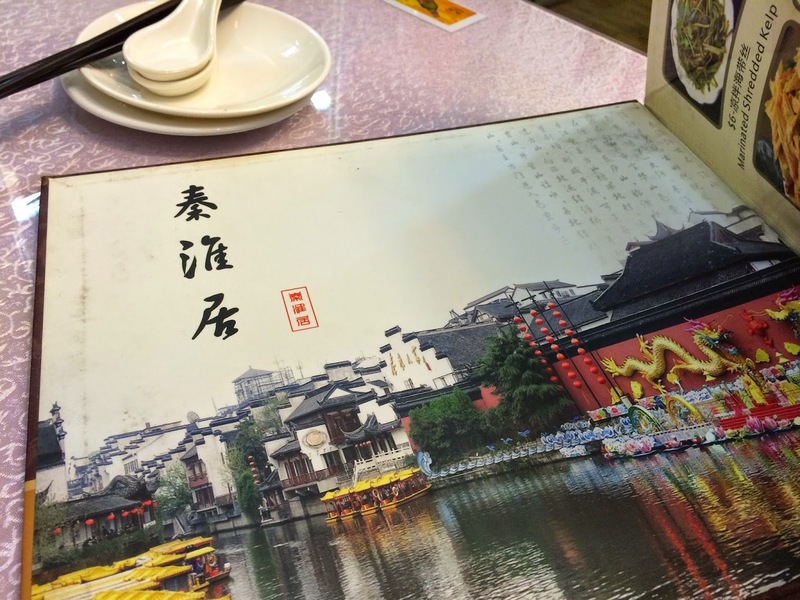 His Cantonese came in handy when we located a small restaurant advertising Nanjing cuisine. I wouldn’t have known that because everything here was in Cantonese: the signs, the menu and even the hand-written receipt at the end! 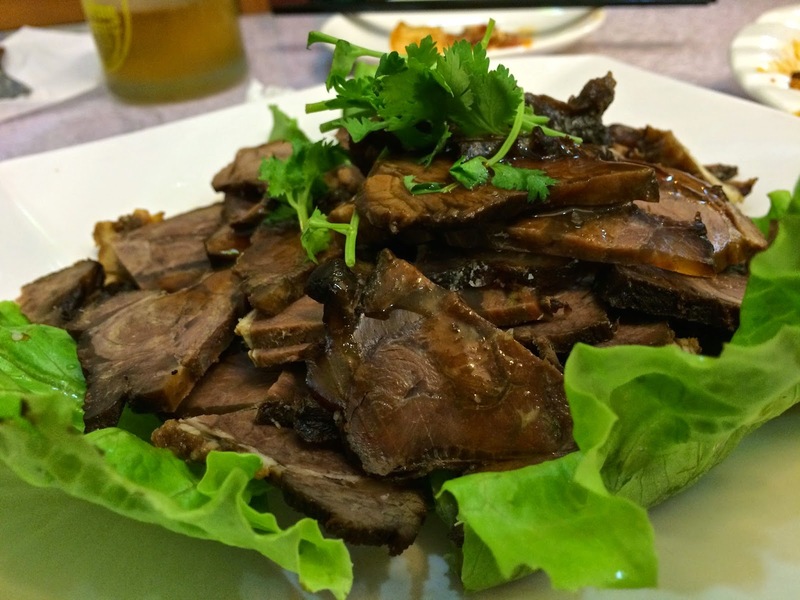 Nanjing or Jiangsu cuisine is one among eight distinct culinary traditions of China. One of the key characteristics of the cuisine is the matching of colors and tastes, as well as exquisite cuts and shapes. 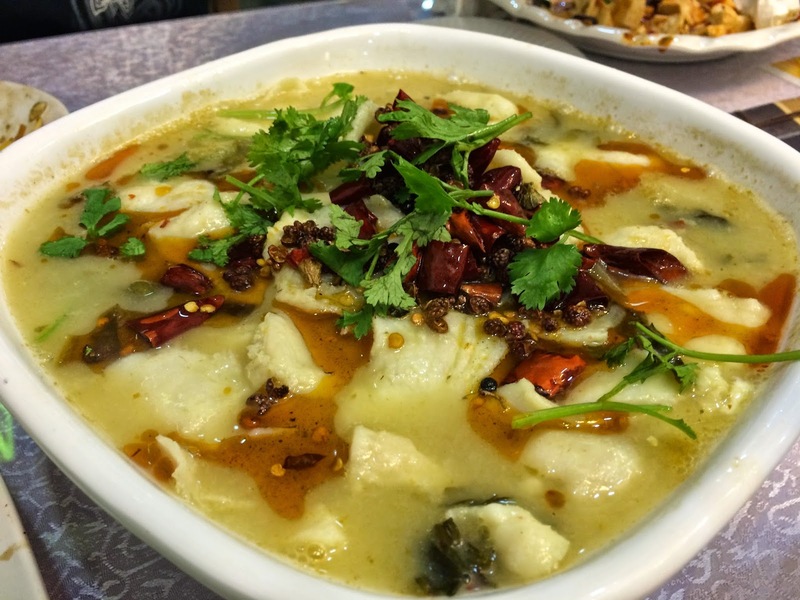 Some of the delicacies of this interesting cuisine is salted duck, pan-fried beef dumplings, tangbao soup dumplings, sweet and soup Mandarin fish, duck blood vermicelli soup and hairy crab. Doesn’t that sound so very exotic? 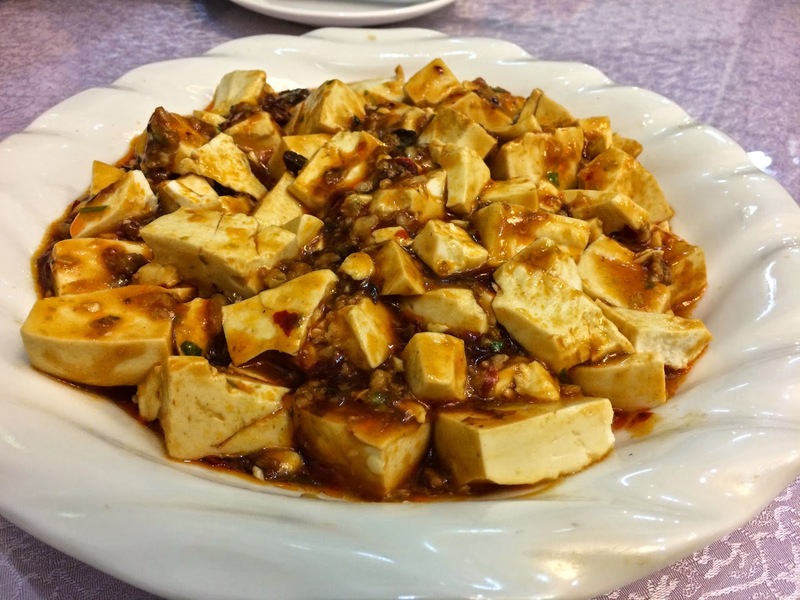 On our plates were some dishes not so authentic Nanjing like the soft tofu in a red chilli sauce, but there were others which were the real deal like the vermicelli dish made with soybean seeds and the soy marinated beef slices. Overall, it was great fun to try all the explosion of new tastes and flavours as my colleague educated me on the nuances of each of the dishes. 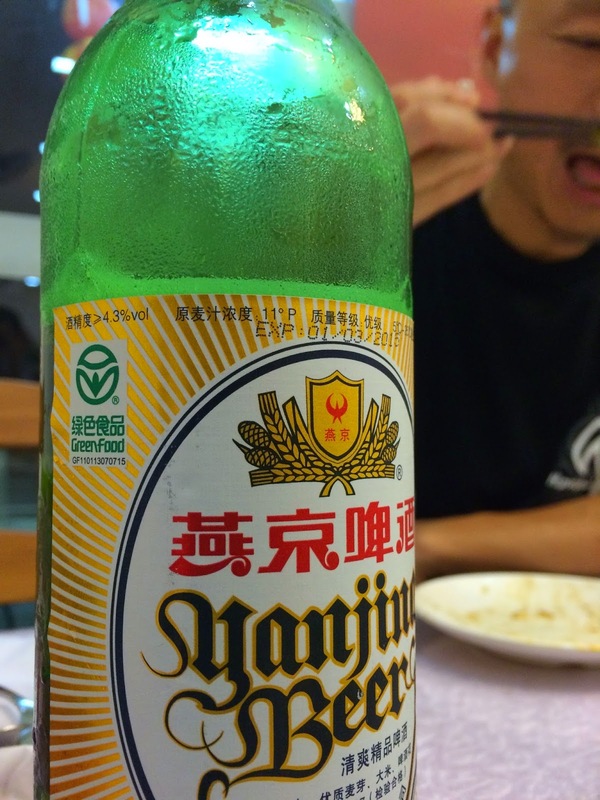 Accompanying the dishes was a local Nanjing beer too! 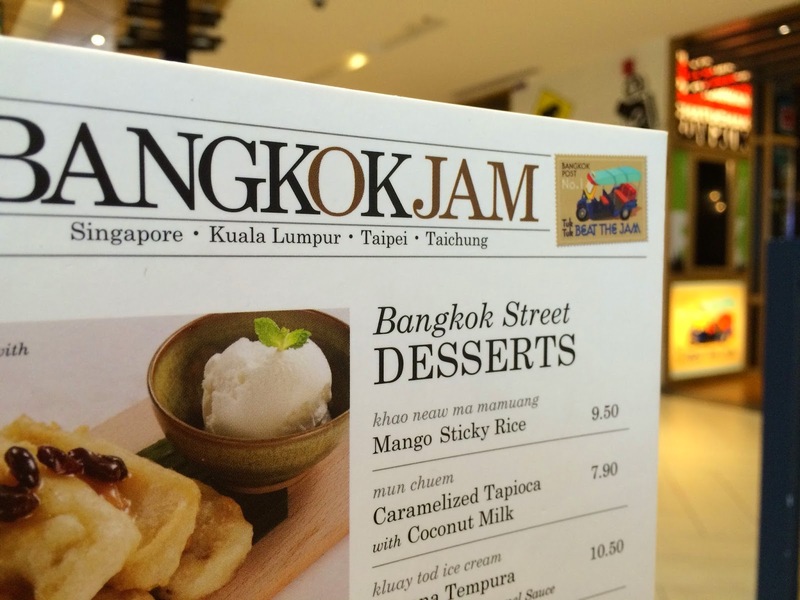 Another place I walked into was Bangkok Jam at Marina Square. 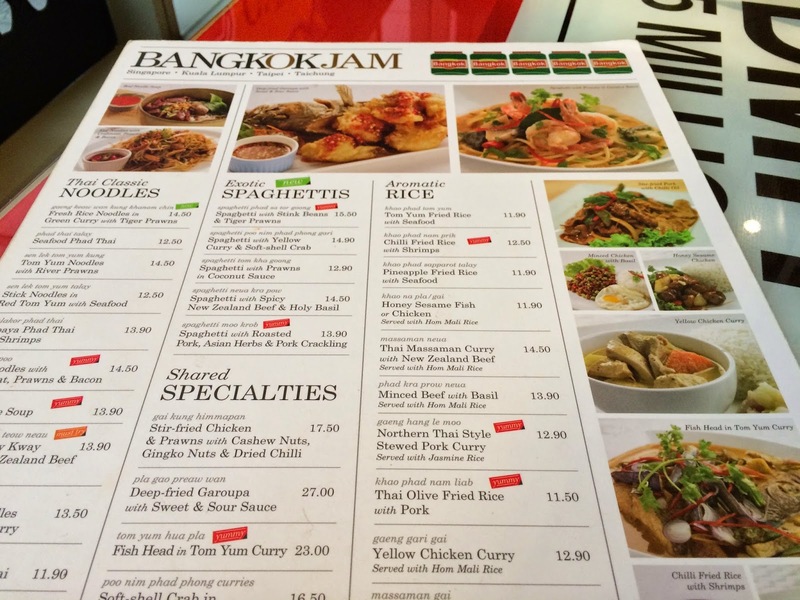 Among the many wonderful eateries at these meccas of shopping, the food was surprisingly good as was the above-average presentation of the dishes. 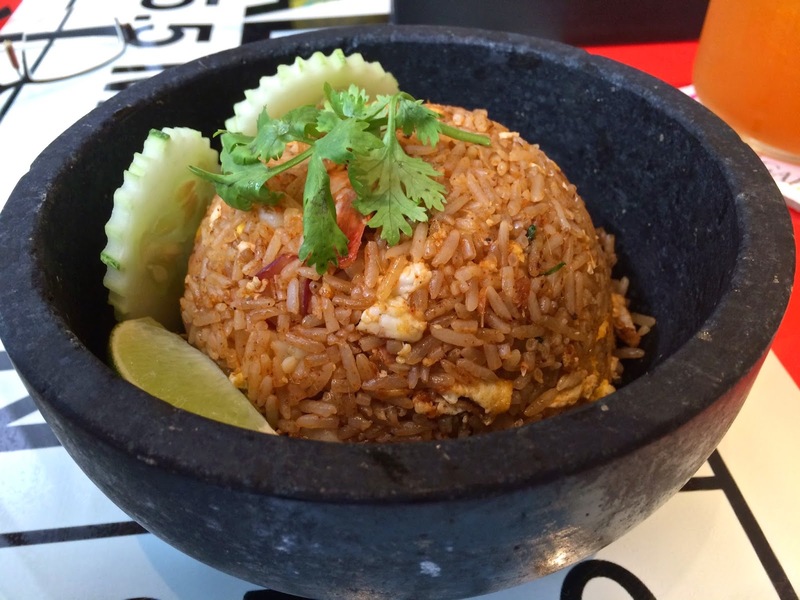 The menu encompassed contemporary twists on Bangkok street food. 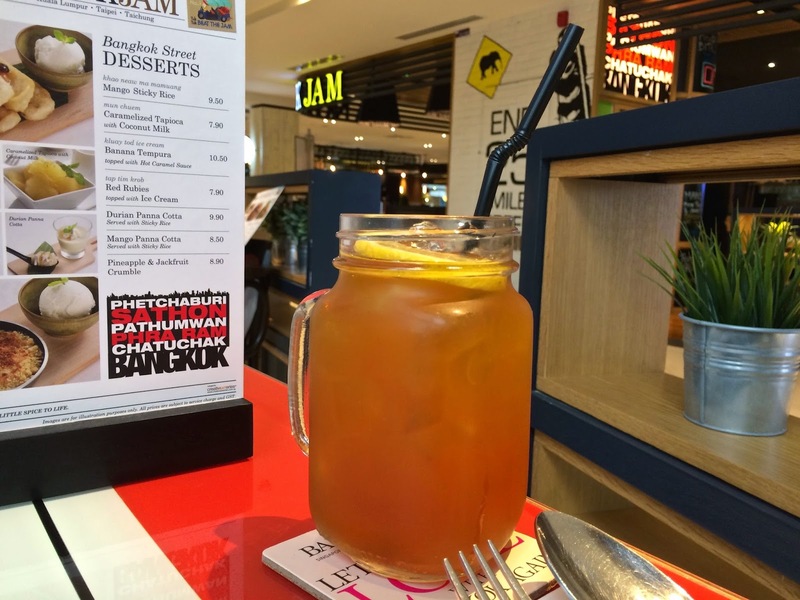 I ordered an iced tea that came in an interesting jar followed by my appetiser of fried fish cakes. My mains, a fried rice was also fairly good. 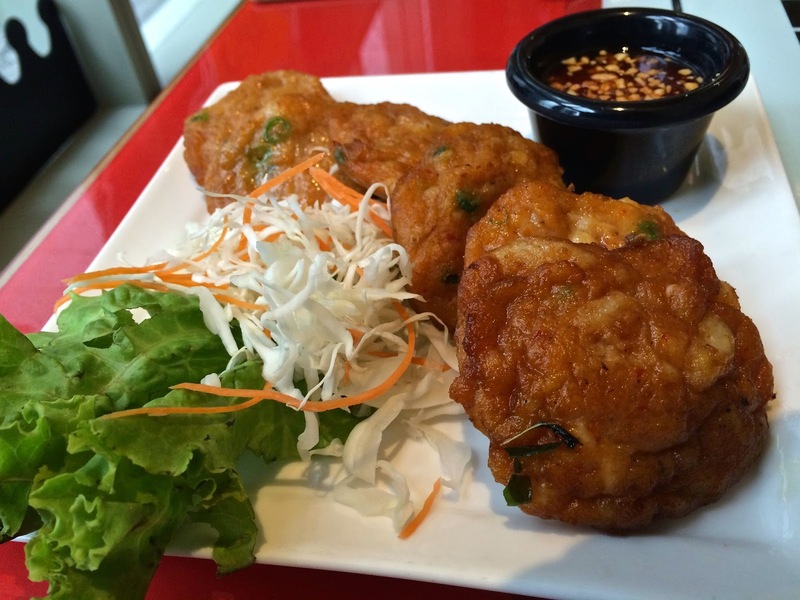 Overall a great place for a Thai lunch in contemporary and cool settings. Singapore is another of those places - like New York City - where a foodie has so many choices that he will never run out of options. 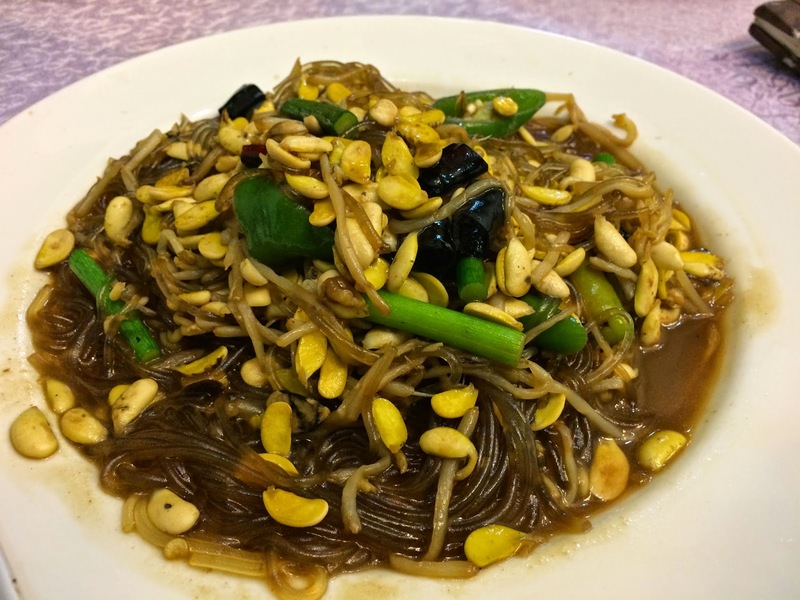 This is also probably the best place for a cautious eater to try out the myriad flavours and tastes of Asian cuisine in relatively cleaner and safer environs. The icing on the cake? 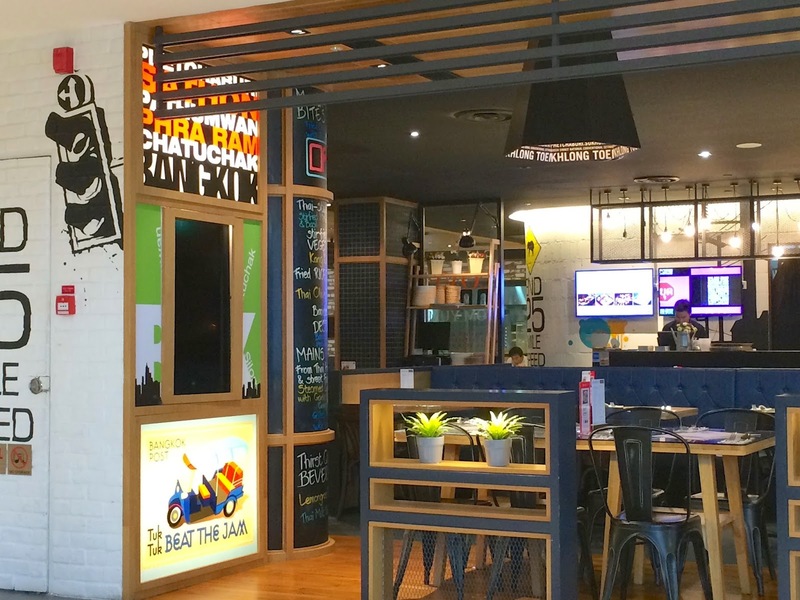 You don’t even have to head into the warm and humid outdoors to do so; the entire city is a labyrinth of interconnected shopping malls which houses all these interesting eateries.